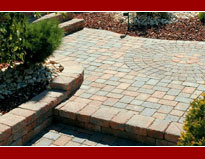 T Landi offers high quality mason & landscape products that provide solutions to homeowners and contractors. Our Expert Installation Supplies deliver functional masonry and attractive hardscapes. Our staff specializes in helping you choose the perfect path of planning, product quality, service and workmanship. From Pavers to Retaining Wall Systems!! All Varieties of Natural Stone Veneer. Many varieties of Mulches! Double Ground & Red!! Professional Tools to suite your homeowner or industrial needs. Contents Copyright © 2013 T Landi Mason & Landscape Supply. Site Development Copyright © 2013 Eyes for Designing. All Rights Reserved.